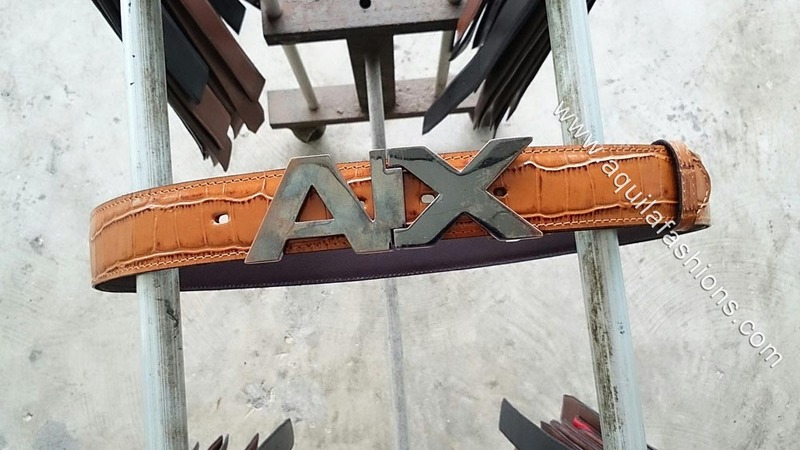 Customer walks in with an AX buckle looking for a leather belt without buckle for it! Tan faux crocodile leather belt tailored to the buckle width and required length. The entire package looks better because the buckle colour is gunmetal, instead of the common nickel colour, against the tan mock croc. Detailed instructions for purchasing leather belt straps without buckle can be found in our Replace leather belts page!